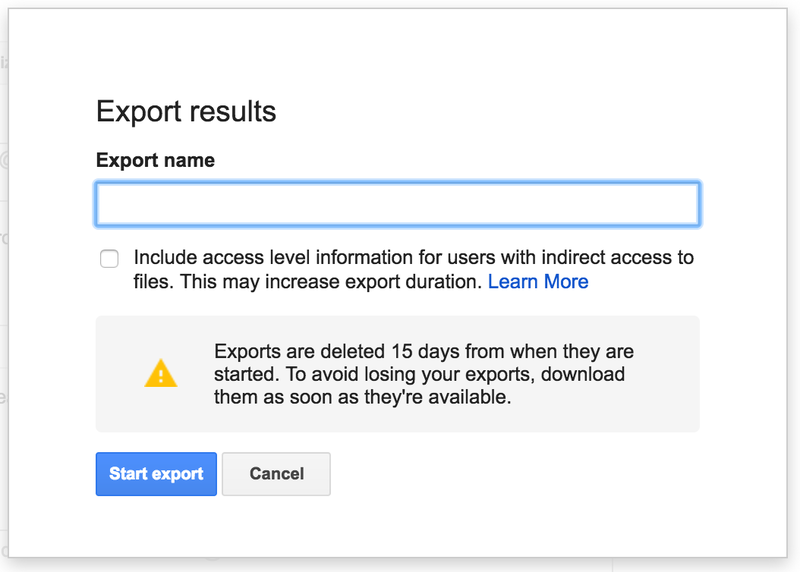 Previously, when you exported those search results, you wouldn’t see that user listed in the file's export metadata, making it difficult to determine the document’s chain of custody. Going forward, you will see that user listed, as Vault will now include information in export metadata about users who accessed a document via an indirect relationship. Additionally, you’ll now have the option to see what that user’s specific relationship was (e.g. whether the user was a collaborator or viewer). You can now select the time zone that you want the dates in your search to be based on in Vault. 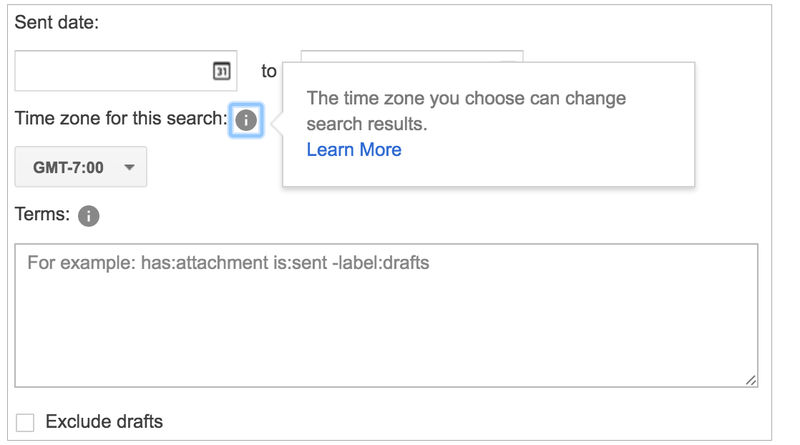 The time zone you select changes the exact boundaries of your search results, so we recommend that you learn more about the effect of this setting before using it. You can now create a custom retention policy that covers all Team Drives in your domain, in addition to the already existing options that cover specific Team Drives and organizational units (OUs). You can now create custom retention policies that cover specific Google Groups in your domain, in addition to the already existing option to cover all Groups in your domain. For more information on these features and others in Google Vault, check out the Help Center articles below. When you use Google Vault for your legal and compliance needs, it’s important that you have the ability to retain exactly the data you wish and that the data you retrieve from the tool be accurate, precise, and comprehensive. Today, we’re introducing four new features in Vault to help you address those needs.